 The large amount of publicity around the ENERGYWISE™ funding to install insulation and/or heating in homes existing homes along with increasingly common Summers and Winters of extremes has made insulation a front-of-mind topic for many homeowners. The type of door on your existing home will impact on how you go about insulating your garage. If you have an old Tilt door you may not have enough room to be able to replace it with an insulated sectional door, but you could fit one of our new Flex-A-Door‘s which at the very least will cut down on the drafts are the bane of a tilting door’s design. Your options may also be limited to a Flex-A-Door if your existing Roller Door is pushed up into a cavity. We will be more than happy to come round and provide a FREE no-obligation assessment of your situation. Having an existing sectional door will give you two options to consider; work with the door you have or upgrade it completely. In working with your existing door, you could look at adding after-market insulation to the back of it. 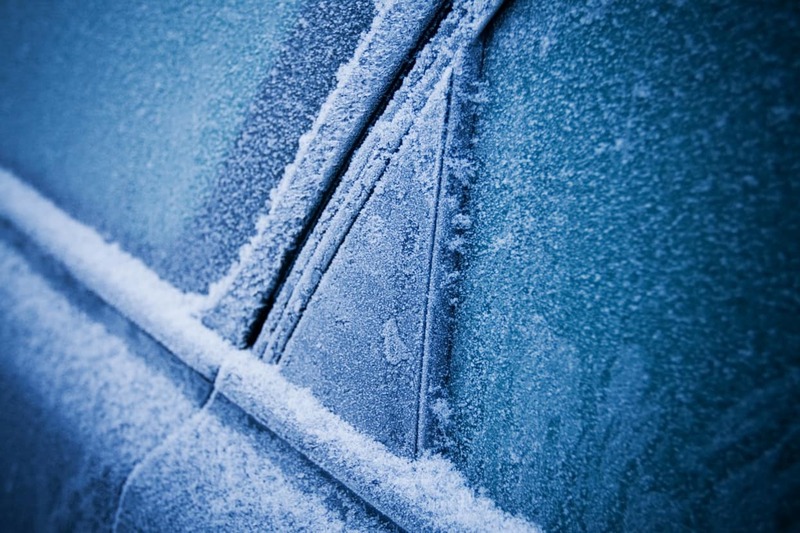 This will generally give OK results but a word of warning, the additional weight of the insulation will mean your door will most likely require new springs to operate correctly. If your door is relatively new, additions such as insulation will void any warranty coverage that may exist. When designing your new home there is plenty to think about when trying to create an energy efficient one. But that doesn’t mean that you should gloss over your garage door as it is probably one of the largest openings in your home and most prone to heat transfer. 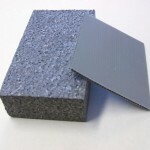 Silver-grey in colour, this unique product is EPS infused with graphite to further absorb infrared energy and reflect heat providing around 20% better insulating performance than standard EPS. A remarkable product matched to a premium brand. A large moving door has many stress points and will inevitably flex throughout its operation, it also fluctuates greatly in surface temperature over short time intervals so the insulation must be extremely durable to maintain its thermal & acoustic effectiveness – that’s where Expanded Polystyrene (EPS) outperforms the rest. Proven the world over to stand the test of time in demanding situations, it will not turn brittle or absorb any relevant amount of moisture (even when submerged) and yet it is still recyclable. The corflute backing that houses our precision-cut insulation is a carbon-grey finish that adds a distinguished look to the internal face of the door. Low maintenance yet replaceable is key to the design. The corflute also acts as a form of thermal break with the small amount of steel on the inside face of the door having a minimal effect on the internal temperature of the garage. We have taken our high grade, time tested steel roll-formed panels and added insulation. The net result is a more rigid door, but our panels do not rely on lamination with the precision-cut EPS to create a straight and true door – they are already that way before the insulation is added and have passed our strict quality control checks. 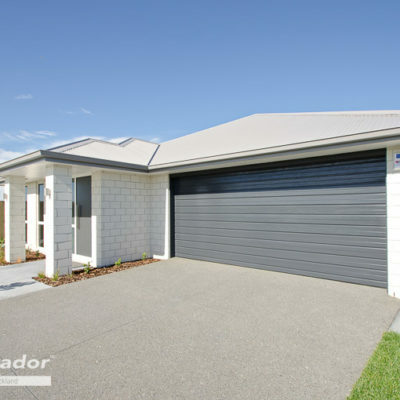 Panel integrity will never be an issue with an Insulated Series sectional door from Garador Auckland. We can insulate our current range of roll-formed ribbed & flat sectional doors – these popular styles just got even better. The Insulated Series is available in the same great Pre-Painted Steel colour range as our standard styles. They can also be finished with a durable powdercoat in virtually any colour your external colour-scheme demands (for an additional fee). Whether you are upgrading your existing door or require a new one, you’ve got to consider our all new Insulated Series. At the same time our insulated door becomes an excellent barrier to noise pollution. 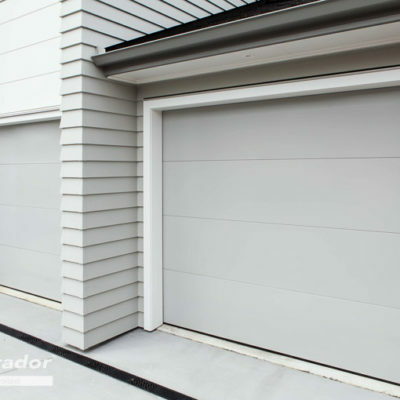 The acoustic qualities of our Insulated Series provide the perfect shield against noise entering and/or exiting the garage – great for busy roads or budding musicians! The insulation also eliminates the vibrational noise usually present in our standard range of steel sectional doors so virtually silent operation is achievable with our DC powered GDO range of openers. 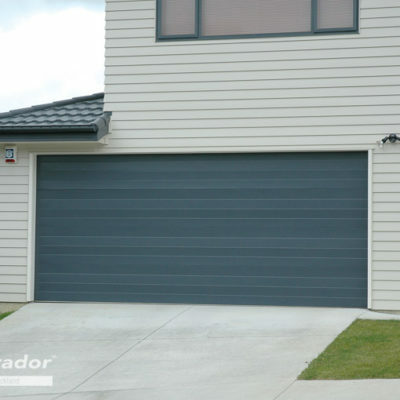 With super quiet variable speed operation, belt drive options and feature rich design, Garador Garage Door Openers are world leaders. Your insulated garage door is not only positively locked by the opener gearing, but benefits from our revolutionary TrioCode™128 code hopping technology with its three frequencies to overcome remote signal interference issues that are becoming more common in our increasingly wireless world. The Mulflute backing that houses our precision-cut insulation is a carbon-grey finish that adds a distinguished look to the internal face of the door. Low maintenance yet replaceable is a key feature of our design. All this is fancy stuff but the bottom line is our new Insulated Series garage doors will help regulate the temperature and noise in your garage so you can use it the way you want to. We Believe In Our Insulated Series Of Doors & Stand Behind Them! All this with the same quality hardware and fixing points on the back of the door, styles and finish on the front of the door that people around New Zealand have come to know and expect from our trusted brand Garador – so much so, we back these doors with a 5-year warranty* so you can be confident that one of the main access points into your home won’t let you down..
* 5 year warranty for steel door curtain, insulation & associated labour, 1 year warranty for surface coating, locking mechanism & all other components & associated labour (excludes salt corrosion). So when it comes to Insulating your garage door it really pays to stop and think about the outcome you are after, remember we can come round and provide a FREE no-obligation assessment of your situation. Whether new or existing, we will work with you to ensure the best outcome for you now and into the future. 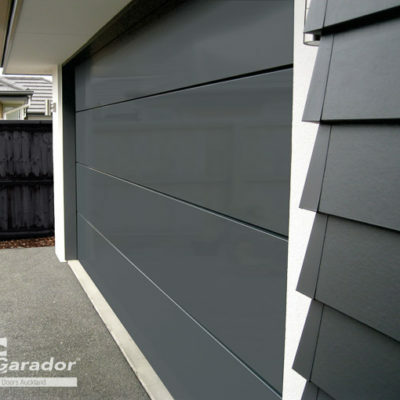 With over 50 years in the garage door industry, Garador knows there’s no point in cutting corners. Yes, I would like to know more! Yes, I Would Like a Quote!